Just a few miles southwest of the town of Rangely is the only designated natural rock crawling park in the state of Colorado. 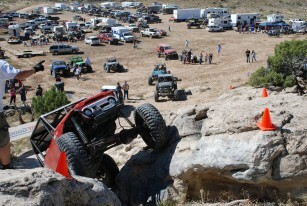 With more than 560 acres of natural terrain designated by the Bureau of Land Management as a four-wheel drive park, the Rangely Rock Crawling Club has one of the largest areas in the country to climb. Entrance to the park is free. Many of the trails in the park are still waiting to be discovered. Rock crawling and four-wheel drive enthusiasts can take on trails like the Megasaurus, Chain Break, Poison Ivy and Willy’s Way. The park consists of one main trail with the park broken up into four sections. Trails range from easy to extreme. Two events are held annually. For information and a map of the trails go to www.rangelyrockcrawlers.com. Or call Tami Williams at 970-675-8975.